Las Estrellas are actually Ronny and Shirley Estrella singing and playing accordion along with their son on the bongos. 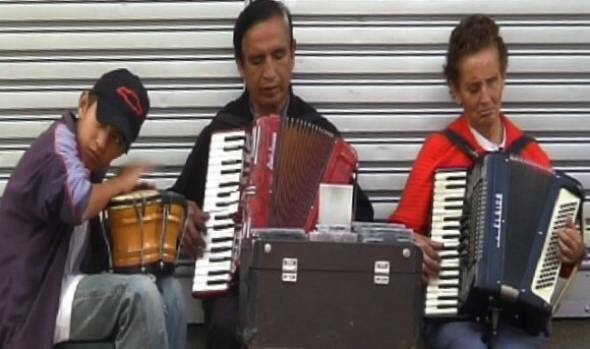 They are also blind musicians and allowed to play in the streets of Quito without a special permit. Please Note- All video samples are streaming media player WMV format. Mac users can watch the videos with a free player you can download here.